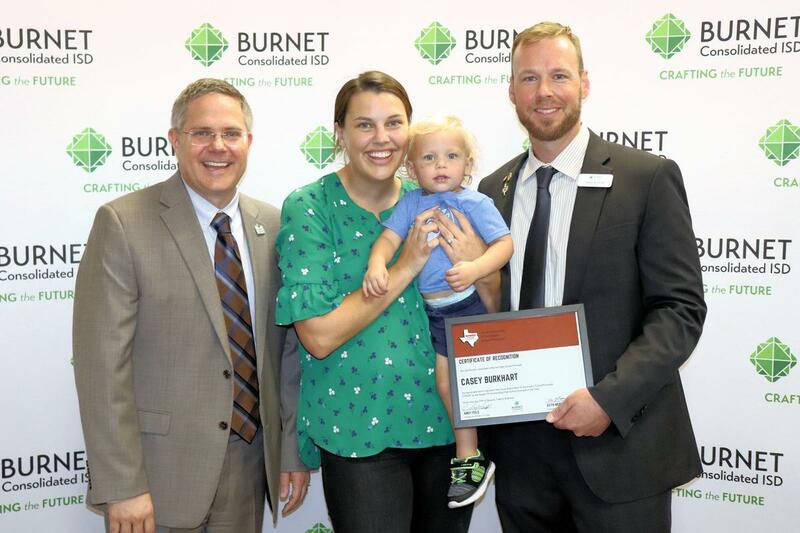 BHS Principal Casey Burkhart was recognized at the August 27th School Board meeting for being selected as the Region XIII Outstanding Principal of the Year by the Texas Association of High School Principals. Mr. Burkhart's wife and son joined the Board of Trustees in recognizing his accomplishments! Read more about the meeting by clicking below.